Please be aware that Weddingburg is not responsible for any omissions, spelling or punctuation errors after you have authorized the example invitation. So please check then double check your text! 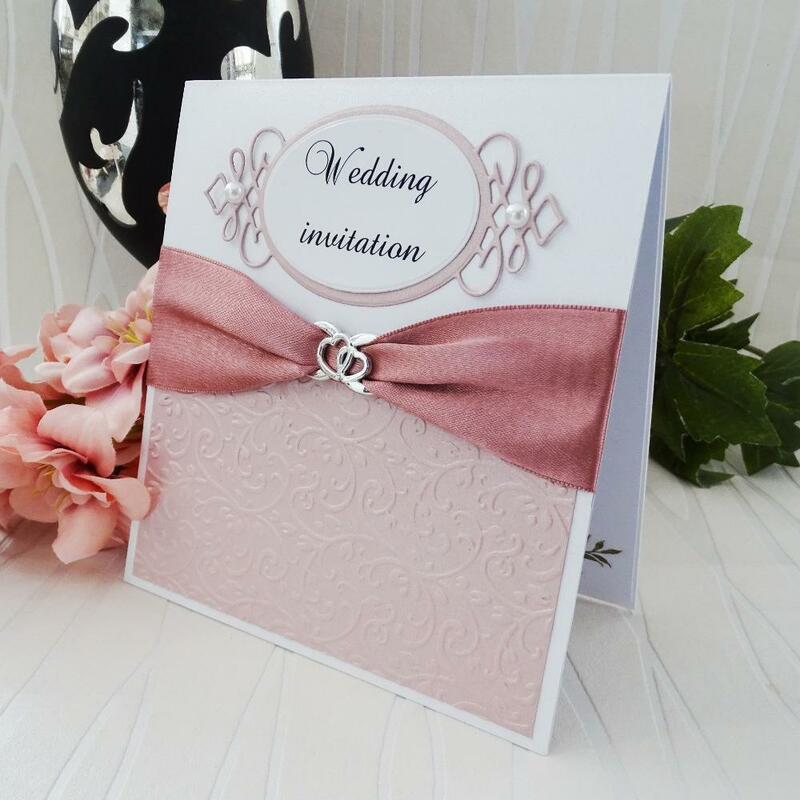 We are always available to help in the creation of your dream wedding invitations. All invitations are sent in a non assembled form, apart from one we send as a prototype. 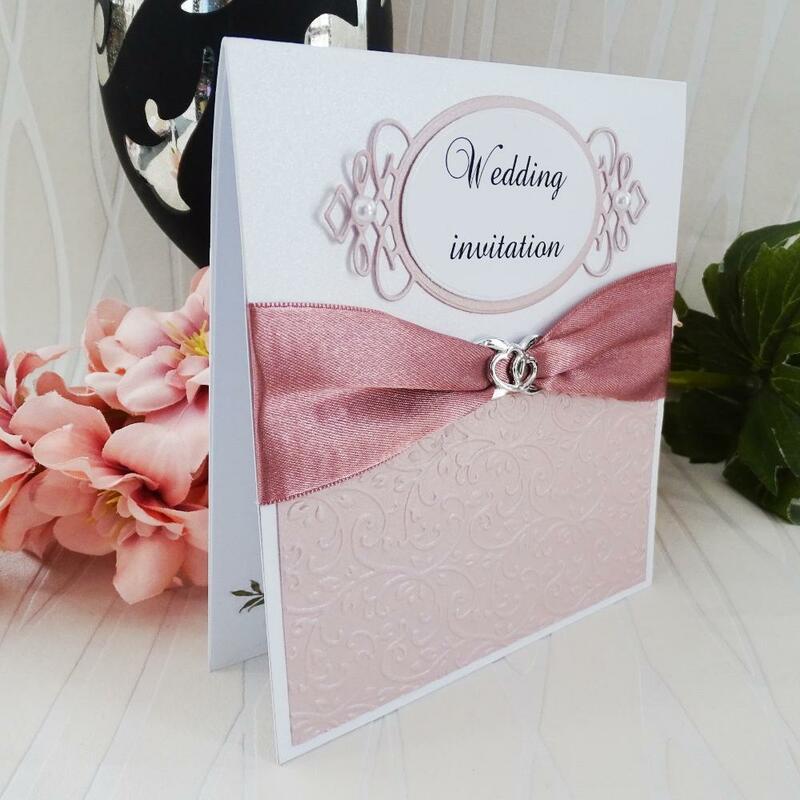 Choose this luxurious wedding invitation as the perfect statement for your big day. They are made with the best quality pearl cardboard. 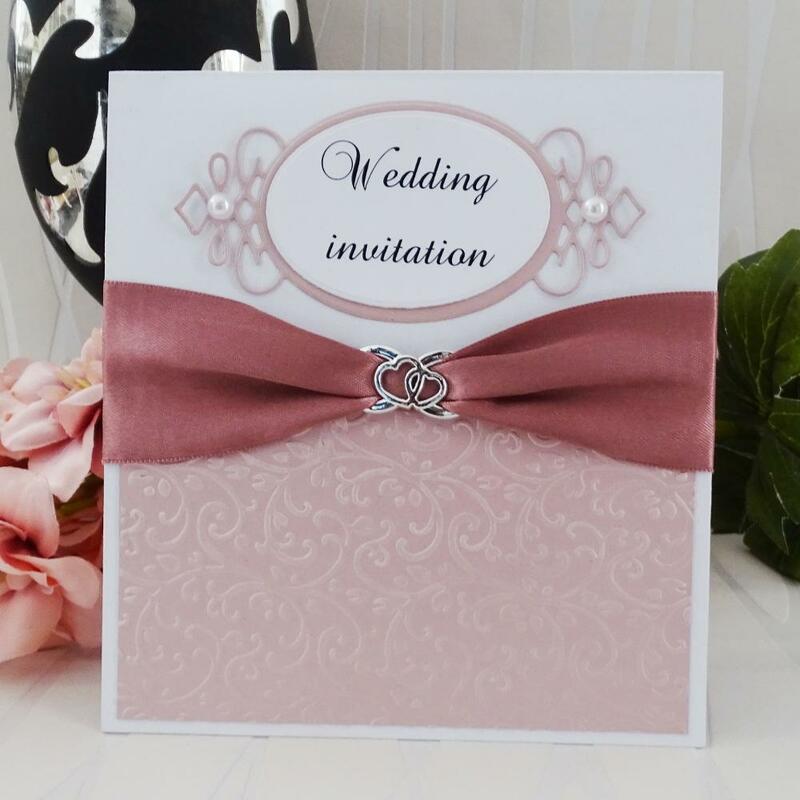 The invitation is topped with a lavish bow making it the perfect compliment for a elegant wedding. 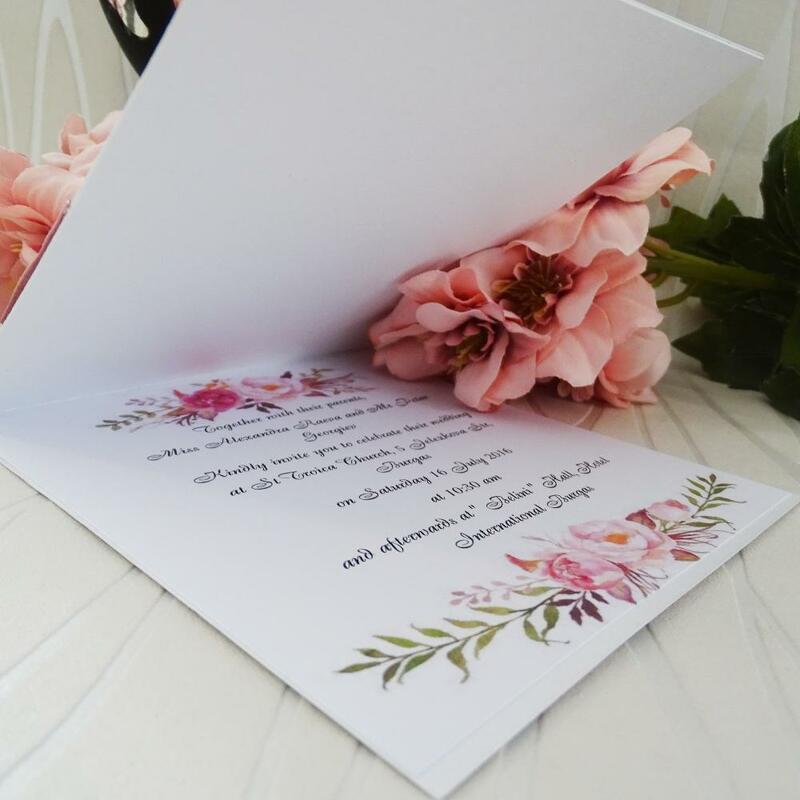 Please note that this invitation can be made in a range of different colours, please feel free to contact us for more information!